In Portugal, the state is the uncontested leader in dispute resolution. In fact, the majority of conflicts are resolved through the legal system, supported by a large network of courts with specific and complex procedural rules; however, with the lack of efficiency of the public system, the importance of arbitration and other alternative dispute resolution methods is increasing significantly. There are three levels of jurisdiction in Portugal: first and second instance courts, and the Supreme Court. Within the first instance there are specialised courts for specific matters, such as civil, criminal, commercial, labour, family, competition and intellectual property rights courts. Bearing in mind that the main problem of dispute resolution in Portugal is still the length of time proceedings usually take, in recent years the state has actively amended the legal system – not only implementing procedural rules but also improving infrastructure (new courts, new technologies) and modifying the judicial structure to respond to the increase in litigation and improve the effectiveness and the degree of specialisation of the courts and judges. No major judicial reform was carried out in 2017. As was the case in 2016, it was a year of stabilisation for legislation that has been in force since 2013 and 2014. This legislation has still not proved to be as effective in reducing the length of proceedings as expected, with the exception of procedures in the appeal courts. The Portuguese Insurance and Pension Funds Supervisory Authority (ASF) is the competent authority for the regulation and the prudential and behavioural supervision of the insurance, reinsurance, pension funds (and corresponding managing entities), and insurance and reinsurance intermediation activities. The main goal of the ASF is to ensure the sound functioning of the Portuguese insurance and pension funds markets by contributing to the protection of the interests of the policyholders, insured persons and beneficiaries. This goal is pursued by promoting the financial stability and soundness of all institutions under its supervision, as well as ensuring the maintenance by all market operators of high standards of conduct. The taking up and pursuit of the insurance and reinsurance business is a regulated activity reserved for duly authorised insurance undertakings by the ASF. Statutory law is the main source of law in the Portuguese legal system. Custom is also deemed as a source of law in the Portuguese legal system to the extent that the custom is not contrary to the general good faith principle. However, there are very few situations in which it is accepted that an implemented solution had custom as its source. There is, therefore, a stark contrast between the importance given to custom and the practical relevance it actually assumes. Case law and doctrine play a secondary role (although an important one), even where principles are concerned, as sources of law in the Portuguese legal system. They are used exclusively as a means of disclosing (or identifying or clarifying) pre-existing legal standards or solutions, generally from a legal source. Case law precedents are not binding and the very same issue could receive different treatment from one court to the next. the special legislation dealing with consumer protection (including the Portuguese unfair contract terms act). In turn, pension funds and their managing entities are governed by Decree-Law No. 12/2006 of 20 January, as amended. The pursuit, on a professional basis, of insurance intermediation activity in the Portuguese territory is deemed as a regulated activity reserved exclusively to duly authorised insurance intermediaries. Foreign intermediaries may only pursue insurance intermediation activity within the Portuguese territory if the corresponding procedure for the pursuit of the insurance intermediation business under the freedom to provide services or right of establishment rules, as the case may be, is duly met (single licence principle). The insurance and reinsurance intermediation activities are governed by Decree-Law No. 144/2006 of 31 July, as amended (which implemented into Portuguese law the Insurance Mediation Directive) (DL 144/2006) and its implementing ASF Regulation No. 17/2006-R of 29 December, as amended. A draft proposal of the statute implementing into Portuguese law the Insurance Distribution Directive has already been made public but it is pending final approval. Under Portuguese law, the risk can be defined as the future and uncertain event whose materialisation is represented by the claim. Although usually identified as a detrimental event resulting in damages, the risk may correspond to the occurrence of a predetermined event from which no damages may necessarily arise (e.g., the survival of the insured person in a life assurance). The existence of risk is essential for the insurance contract: the insurance contract is null and void if, at the time the contract was concluded, the insurer was aware of the termination of the risk or if the insured person or the policyholder was aware of the existence of the claim. In essence, there is no insurance without risk. However, the risk, owing to its essentiality to the validity of the insurance, is also subject to negative constraints. First of all, insurable risks shall fall within the classes and expressly provided for in the legislation, therefore, the risks classified in each class shall not be covered by insurance policies classified in another class. the death of children under 14 years of age or the death of those who, because of cognitive impairment or other causes, are unable to govern their person. It should be noted that insurance against the risk of death resulting from an accident of children under 14 years of age is not prohibited, provided it is concluded by educational, sporting or similar institutions that do not benefit from it. The prohibition referred to in points (b) and (d) above do not cover the payment of strictly compensatory benefits. Only limited liability companies by shares, mutual or public institutions may obtain an insurance authorisation from the ASF. Companies that take the form of a European company may also pursue insurance and reinsurance activities. Insurance undertakings based in the EU, which are duly authorised for the pursuit of their insurance activity within their country of incorporation, may pursue the insurance activity in Portugal under the EU freedom of establishment regime (as a branch) or on a freedom to provide services basis (without a permanent establishment in Portugal) without the need to obtain a specific authorisation from the ASF. The only requirement would be that the ASF is duly notified of the establishment of the branch or the commencement of activity on a freedom to provide services basis by the competent supervisory authority of the relevant home Member State, in line with the EU passport regime. In turn, if an insurance undertaking incorporated outside the EU wishes to establish a branch in Portugal, it is required to obtain prior authorisation from the ASF. The fact that an insurance undertaking is operating on a cross-border basis has no material impact on dispute resolution besides the fact that, as a general rule, the insured person may elect to bring a claim against the insurer in its home country. Portuguese insurance undertakings must receive and resolve any claims or complaints that are filed against them within the deadlines imposed by law. To this effect, insurance undertakings are required to put in place a written internal regulation on the management and settlement of complaints. If the insurance undertaking fails to reply within these deadlines, or denies the claim or complaint, the interested party may file an appeal with the customer ombudsman (who must be appointed by the insurance undertaking or a group of insurance undertakings), who must handle and resolve the claims and complaints submitted to him or her within the deadlines imposed by law. Insurance undertakings must appoint a preferred interlocutor between the ASF and the customer ombudsman, and the identity of the customer ombudsman must be disclosed to the policyholders, insured persons, beneficiaries or any other interested party. After this period has elapsed, if the insured's claim or complaint is not answered or is dismissed, the claimant can submit a grievance to the complaints service of the ASF. The policy must indicate the insured's right to proceed in this way. Also, any insurance undertaking with any customer service desk in Portugal must have in each service desk a complaints book available for any customer. The competent court for any dispute arising out of or in connection with an insurance contract shall be the court of the defendant's domicile. Alternatively, for any dispute filed by the policyholder, the insured or the beneficiary against the insurer, the competent court shall be that of the plaintiff's address. Insurance-related disputes are subject to the general Portuguese civil procedure, which may be characterised as an adversarial procedure with a preference for oral expression, and with certain fundamental principles, such as the right of access to justice, the right to reasonable duration of proceedings and the right to a fair trial (principle of equity). Both civil and criminal proceedings include different stages. Generally, proceedings are initiated by the parties submitting pleadings, followed by a stage in which evidence is provided. Subsequently, the trial takes place and the court issues its decision. Finally, the parties can appeal the judgment, provided that certain conditions are met. Despite the above, the new Civil Procedure Code establishes that all witnesses must be offered with the submission of the pleadings. There are two kinds of civil proceedings: declarative and enforcement. Through the former, the court's decision has res judicata effect and the court decides on the merit of the litigation between the parties. Enforcement proceedings may serve three purposes: the payment of an amount; the delivery of a certain object; or forcing the counterparty to carry out a certain action. Ordinary declaratory proceedings in Portugal may take from one to three years until a final court decision is issued, while enforcement proceedings may take from one to two years. Subject to the exceptions provided for in the law, each party bears the burden of proving those facts supporting his or her claim in the proceedings. The courts have wide discretion when assessing evidence, subject to reasoning founded on the applicable law and the relevant facts. Court costs are to be advanced by both parties. The winning party may claim from the losing party the judicial fees that were paid during the proceedings. The winning party may have to pay additional amounts at the end of the proceedings and claim the corresponding reimbursement from the losing party. Arbitration continues to flourish in Portugal. Parties have progressively added arbitral agreements to contracts and there is a general sense that Portugal may become a privileged forum for arbitrations between companies based in Portuguese-speaking countries such as Brazil, Angola and Mozambique. On 15 March 2012, a new Law on Arbitration entered into force, replacing the former Portuguese Arbitration Act. The new law is rather innovative, drawing inspiration from the 2006 version of the UNCITRAL Model Law, introducing provisions intended to grant more flexibility with regard to the formal validity of an arbitration agreement, making it simpler to comply with the written form requirement. 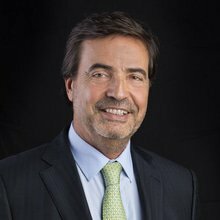 After almost four years since its entry into force, it is reasonable to state that the law has increased flexibility in Portuguese arbitration and facilitated the increasing number of arbitral agreements included in contracts. The leading arbitral centre is the Arbitration Centre of the Portuguese Commercial Association. With regard to foreign arbitration, Portugal is party to the 1958 New York Convention on the Recognition and Enforcement of Foreign Arbitral Awards. 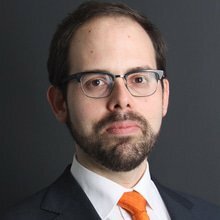 Although alternative dispute resolution, especially mediation, is starting to develop in Portugal (tax arbitration in particular), it is rarely used in insurance matters. Our experience tells us that the majority of dispute resolution in the insurance field is a result of insufficient or erroneous information made available by policyholders or insured persons at the time of conclusion of the insurance agreement. The Portuguese higher courts have taken a significant number of decisions regarding the initial risk disclosure obligation. This disclosure obligation means that the policyholder or the insured person must accurately disclose all known circumstances that may be significant for the risk valuation, even if it is not requested in the questionnaire provided by the insurer – the existence of the questionnaire does not minimise the disclosure obligation. Thus, the insured person or the policyholder shall not omit or respond with imprecision, or be inconsistent or contradict themselves. In one court decision, it was ruled that when concluding an insurance contract, the insured person, knowing about a disease, even if its severity was not yet diagnosed, should have informed the insurer about it and about the subsequent diagnostic process. Therefore, the court decided that at the time a contract is concluded, all the circumstances that may make the claim more likely or its consequences wider shall be declared. Consequently, the intentional and conscious omission of a fact that is essential to the risk evaluation is fraudulent. Hence, the insurer has the legitimate right to invoke the nullity of the insurance contract so it can refuse the payment of the insured sum (Article 25 LCS). In another case, the court found that the insurance contract nullity, in accordance with Article 429 of the Portuguese Commercial Code, does not necessarily require a causal link between the content of the insured person's inaccurate declaration and the insured claim. 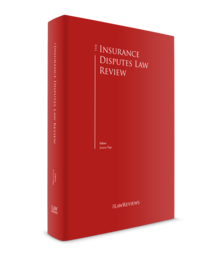 The causal link to be established shall instead be between the omitted fact and the conclusion of the insurance agreement in its precise terms. The question to be asked is: if the insurer knew about the omitted fact, would it still have entered into the same insurance agreement? Nevertheless, the fact that a death is caused by an intentionally omitted disease does not preclude the nullity effect. In fact, in that case, a causal link should be established between the omitted disease that caused the death and the terms in which the contract was concluded, in such a way that it can be declared that the contract would have been concluded, or not, should the insurer have known about the disease. This burden of proof lies on the insurer. The insurer has to claim and prove that the omitted statements were effectively made, that the circumstances were already affecting the insured and that the insurer would not have entered into the insurance agreement in the same terms, not covering, therefore, the risks. Conversely, insurers are subject to a general duty of information and notification. As the superior courts have stated, the obligation to notify corresponds to the obligation of the insurer to disclose, in due course, the full content of the contractual terms to the insured person, in terms that they are completely and effectively known by the latter; on the other hand, the information duty is essentially the explanation of the contents of the insurance agreement, when no real understanding is expected by the applicant or insured person – its main purpose is the understanding of the content. Communicated terms of the insurance agreement in a way that restricts the information duty, resulting in the effective understanding not being expected, shall be excluded and cannot be enforceable against the insured person, pursuant to the Portuguese Unfair Contract Terms Regime. However, there is no breach of the information and communication duties if the contractual provisions are drafted in a clear manner and in a way that the insurer does not have to provide for any additional clarification to the insured. Another commonly debated subject in the superior courts is the automatic termination of the contract resulting from the lack of payment of the insurance premium. According to the superior courts, in the event of non-payment, on one hand, risks are no longer covered; on the other hand, the debt ceases to exist and, as a consequence, the payment can no longer be demanded by the insurer. Therefore, this lack of payment leads to the automatic termination of the contract on the due date of payment, and no further amounts are due. In turn, a Portuguese superior court has ruled that to assess the scope of the coverage provided by the insurance agreement it is necessary to review the agreement and the policy's covered risks. The policy shall expressly provide for the risks that are covered and, conversely, which ones are excluded – all of the remaining risks that are not expressly excluded will be considered covered. Finally, another superior court has made it clear that the main goal of the insurance agreement shall be construed according to the eyes of an 'average' policyholder put in the actual policyholder's position. In case of doubt, any given provision shall be construed in a favourable manner to the policyholder's interests. In this particular case, the risk exclusion clause, according to which a claim shall be excluded if it was caused by a person that is not legally qualified to drive, shall be disregarded if the relevant non-qualified driver acted against the will of the car owner. In such a case, the insurer shall be required to pay the claim. As a general rule, the parties are entitled to agree on the jurisdiction to settle legal or contractual disputes, provided that the relevant dispute is connected to more than one legal jurisdiction. This freedom of choice does not allow, however, choosing a competent jurisdiction that involves a material disadvantage to one of the parties in favour of the other, without this other party claiming a legitimate interest in that choice. the right invoked cannot be enforced except by means of an action proposed in Portugal, or in the situation that it cannot be required for the author to propose it abroad, provided that the subject matter of the dispute and the national legal order have some important personal or real connecting factor (Article 62 of the Portuguese Code of Civil Procedure). The international jurisdiction is governed at the Community level by the 27 October 1968 Convention on jurisdiction and the enforcement of judgment in civil and commercial matters (the Brussels Convention). when it is not a bankruptcy or arbitration matter. the insurer can only bring proceedings against the defendant (policyholder, insured or a beneficiary) in the courts of the contracting state in which the defendant is domiciled. It is not clear if the jurisdiction in matters relating to the insurance section of the Brussels Convention applies only to direct insurance or if it is extensive to reinsurance. In terms of the restriction to the direct insurance, it has to be noted that the section related to insurance is specifically dedicated to the policyholder's protection; on the other hand it shall be noted that there is not a substantial difference in the parties' interests in case of reinsurance that warrants that restriction, which could be merely inferred from the Convention. Within the EU, Council Regulation No. 1215/2012, 12 December 2012 sets out the conditions under which a judgment (concerning civil and commercial matters) issued in a Member State can be enforceable in another. Therefore, pursuant to this Regulation, a judgment issued in a Member State and enforceable in that Member State may be enforceable in Portugal when, upon application by the interested party, it has been declared enforceable. The application of enforceability is filed in the competent superior court. The greatest criticism of the Portuguese legal system is the length of time proceedings take. Furthermore, during the past decade, the annual number of actions filed before court has increased dramatically. In light of the above, both the civil society and the government have been encouraging the promotion of alternative dispute resolution (ADR) mechanisms; namely arbitration, mediation, conciliation and resolution by justices of the peace. In 2001, the government created the Cabinet for Alternative Dispute Resolution, a department of the Ministry of Justice exclusively dedicated to ADR. Besides arbitration, mediation and conciliation, the most popular form of ADR is conducted by a justice of the peace, who is governed by Law No. 78/2001 of 13 July 2001 (as recently amended by Law No. 54/2013 of 31 July, which widened the scope and jurisdiction of justices of the peace), and numerous centres have been created under the supervision of a special commission. Justices of the peace are only available to settle disputes among individuals and have jurisdiction on civil matters purporting to small claims (up to €15,000). Under the legal framework on justices of the peace, legal persons may now resort to mediation (excluding for class actions) and preliminary injunctions are now available. In Portugal, the Information, Mediation, Ombudsman and Arbitration Insurance Centre functions as a private non-profit association with the purpose of making available alternative dispute resolution mechanisms for insurance-related matters. To this effect, this Centre created two independent and autonomous procedures: an Insurance Mediation and Arbitration Service and an Insurance Customer's Ombudsman Service. multi-risk home insurance (commercial and housing) relating to complaints of up to €50,000. Additional insurance classes are expected to be included in this ADR in the future. Besides the above, the current year, much like the previous one, has not seen many legislative reforms to the judicial system. By way of example, a law was passed towards the end of 2017 reinstating over 20 first instance courtrooms with a view of reducing the number and duration of civil actions in civil courtrooms. However, this is still an unresolved issued, notwithstanding the slight improvement observed in recent times, that insurance undertakings have to deal with in their dealings in the Portuguese market. 1 Pedro Ferreira Malaquias is a partner and Hélder Frias is a senior associate at Uría Menéndez Proença de Carvalho.